All of our client stories hold a special place in our hearts, but this edition is a little extra special to us. 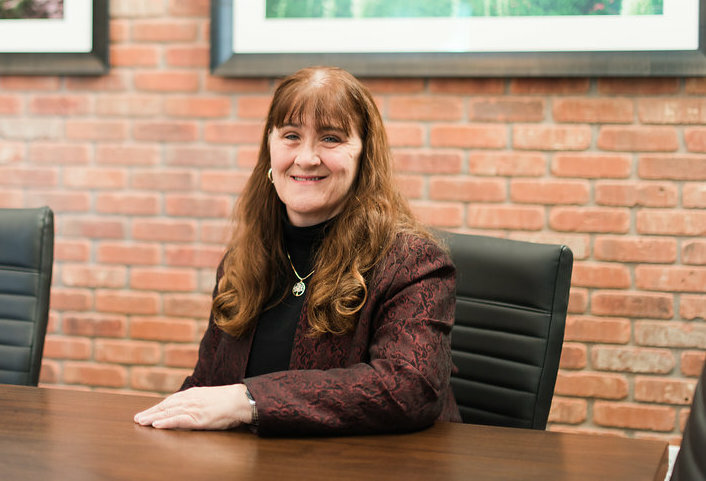 Michelle Olson has been with us since the beginning when our offices opened in 1996 as our first employee. She’s started as an administrative assistant and has served in operations, marketing, human resources, office management, and is now our Controller. She knows our office forwards and backwards! Just like all our clients, she too hoped to retire someday, and that day has come. While we are going to miss her greatly, we are so excited for her as she achieves this important milestone in her life. As we celebrate with her, we wanted to share what she is looking forward to as she approaches this exciting new chapter. Michelle has prepared for retirement the same way all our clients do. She developed a plan and stuck to it. She has worked with her advisors at SRP to make sure all aspects of her financial plan are covered. Granted, she has had a little more access by being in the office every day, but the strategy is the same. While Michelle has saved and stuck to her plan fervently, she has a strong faith in God and knows that her life is in His hands and ultimately her faith is the best plan. For Michelle, retirement will mean focusing on herself and her family. She is looking forward to having the opportunity to help care for her parents and spending more time with her siblings. (Michelle is the oldest of 11!) She is also looking forward to learning some new things. Michelle hopes to expand her knowledge of technology and how she can use it in everyday life. She also wants to learn how to play pickleball! Travel will also be a big part of retirement for Michelle. She has already visited 26 countries and looks forward to adding to the list. Retirement will also mean continuing to stick to the retirement strategy she’s already developed. Michelle knows that the plan doesn’t stop when retirement starts but sticking to the plan with a budget and maintaining contact with her advisor at SRP will help her strategy last for the long haul. Selfishly, we will really look forward to her visits! Being the servant she is, Michelle will be found volunteering and serving throughout the community. She is also involved in local genealogy and calligraphy groups as well as the Auto Care ministry at Faith Chapel. She will now have more time to devote to these activities. Whatever the case, we know she will be as much of a blessing to our community as she has been to us over the last 22 years! We couldn’t be happier for Michelle as she embarks on this new path in her journey and we are honored that she chose to let us be a part of it. Congratulations Michelle, we are going to miss you, but we know this is just “see you later”. You will always be a part of our SRP family!